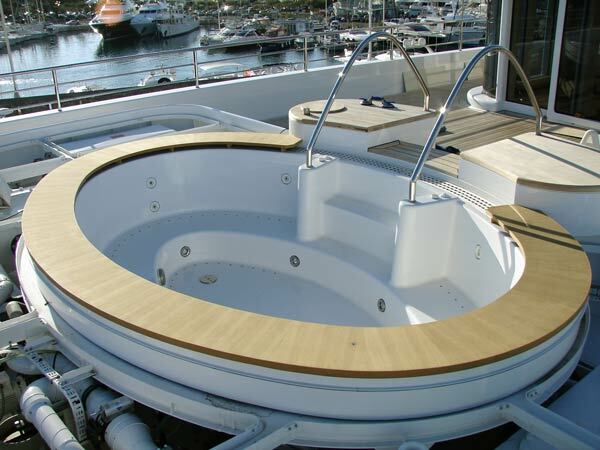 Make your jacuzzi or pool area more comfortable and luxurious with a custom made surround. Round jacuzzi surround from work shop to finished in place. 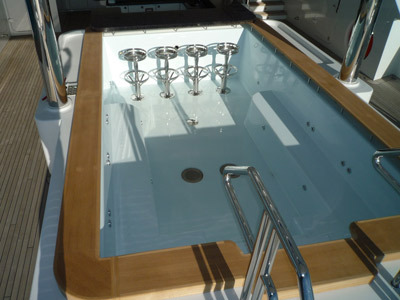 Pool surround constructed in work shop and fitted in place.